Golfers are not immune to the draw of a cool golf gadget that helps their golf game. It doesn’t matter if it’s on the range or on the course, as long as it helps, they’re in. With no shortage of options out there, we cover the coolest golf gadgets of the season in our latest Holiday golf gift guide. 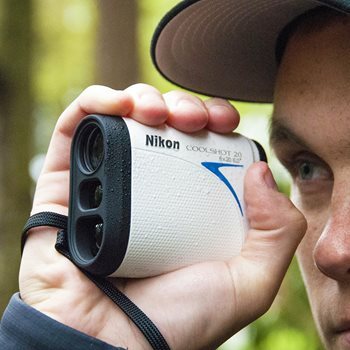 Get accurate distances to the pin, hazards, or doglegs with this Nikon Coolshot 20 laser rangefinder. The compact design is easy to use, with a range of 6-550 yards. Simply press the POWER button and get 8 seconds of continuous measurement. Picking up the target is a piece of cake thanks to 6x magnification and First Target Priority mode, which shows the distance to the closest object. Besides finding pinpoint yardages, a rangefinder can help a golfer learn the distance they hit each club. For example, the next time they’re on the range, they can hit to a specific target and use the Coolshot 20 to find how far away that target is. Gaining this knowledge will help them pull the right club during their next round. To improve on the golf course takes some practice off the course. This is where swing trainers like the SKLZ Power Position swing trainer shine. This trainer is a true triple threat when it comes to improving a golf swing. A molded grip gets the hands in the proper placement on the club. Most of the 43 oz is in the bottom portion of the trainer. The weight helps to keep the club on plane throughout the swing. In addition, the 2-tone coloring of the bottom portion aids in delivering the clubface square at impact. The contrast makes it easy to tell if the swing is off. Finally, due to its short length, the SKLZ Power Position can be used indoors or outdoors. Please note: this trainer is for right-handed golfers only (sorry, Lefties). Knowledge is power on the golf course. With the Arccos 360 Swing Trainer, the user gets that in spades. In the box are 14 lightweight sensors, 1 for each club in the bag. The sensors screw into the end of the club (twist it into the hole in the grip). Their low-profile design also makes them nearly unnoticeable. Once attached, the sensors collect distance data for each club. That information is sent automatically to the free cell phone app. Not only will the user see exactly how far they hit each club, but they’ll also be able to translate that to the course with the app’s GPS feature. The app also gives recommendations of what club to hit in a given situation, based on the historical data collected from the player. Being aware of all this shines a light on the strengths and weaknesses of a person’s game. Want More Cool Golf Gadgets? 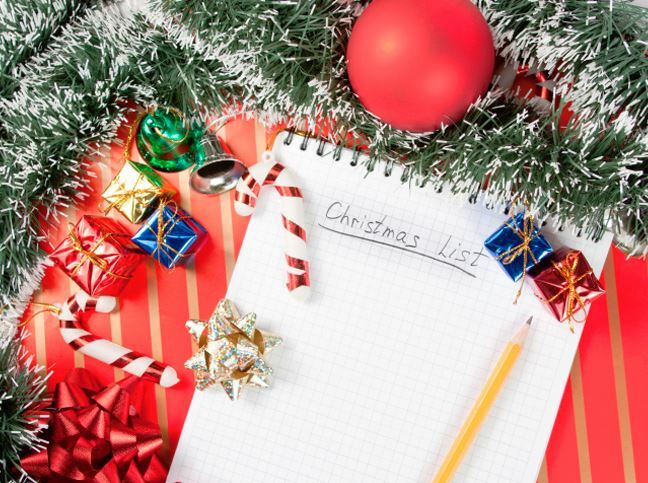 We’ve given you a start to your holiday shopping for the techie on your Holiday list. If you need more suggestions, check out this article. 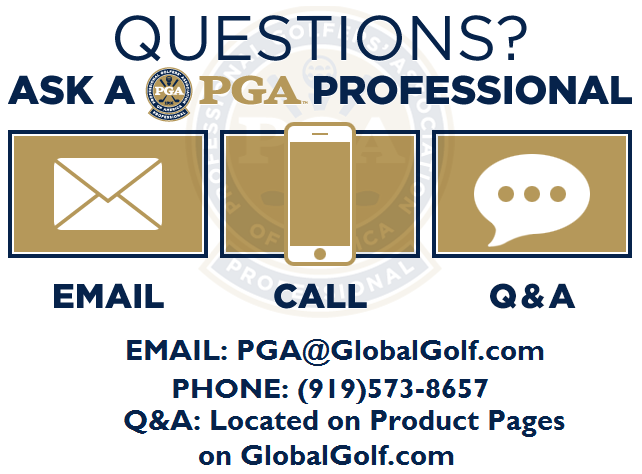 You can also contact one of our PGA Professionals.